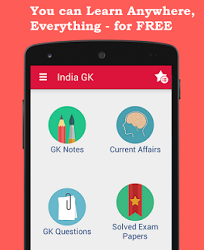 3rd, 4th December 2016 Current Affairs MCQs, Quiz, Questions: Current Affairs for December 2016, Daily Multiple Choice Questions (MCQs) for India GK, World GK and current affairs with Collection of daily objective type Question by www.Indiagk.net based on General Knowledge (GK) and General Science (GS) Questions for UPSC, State PSC, SSC, Police exam, Railway exam, SBI, Bank PO, IBPC, SSC, LDC, UDC, Army, Airforce, Navy, Coast Guard, Bank Clerk, TET and all entrance examination with current affairs News, Multiple Choice Questions (MCQs) available on Website www.IndiaGK.net and Android Apps with daily updates:. Who has won the 2016 International Children’s Peace Prize? Bombay Dyeing Manufacturing Company officially closed its manufacturing operations on 1 December 2016. This company started its manufacturing operations in which year? Bekal Utsahi, who passed away recently, was the renowned Urdu poet of which state? PM Narendra Modi inaugurated Heart of Asia conference on 4th December in which city? Who wins Women's Asia Cup T20 on 4th December 2016?